In the last 10,000 years, human societies have evolved from highly egalitarian bands of a few dozen people to huge societies of today with great economic and social divisions, thousands of professions, and elaborate governing structures. How this transition occurred is one of the greatest puzzles in science. To throw some light on this fascinating topic, NIMBioS will host a debate, focusing on the role of warfare in explaining the transition from simple to complex societies. At the end, the audience voted on who won the debate. Can you guess the outcome? You can watch the debate to find out the answer here. However, as I am not a great public speaker, I would prefer that you read my argument, rather than listen to it. I myself hardly ever watch videos, always preferring the text for any serious argument. So here it is. Comments welcome! Here we are in this nice auditorium. Most of you are perfect strangers to me, yet I am not worried that you’d decide to kill me and cook my flesh over the fire. But if I lived 10,000 years ago, I’d be well advised to fear strangers. In fact, if I could shoot you from the bushes without risk, this would be a good idea, because it would ensure that you wouldn’t kill me. Today we live in huge societies of millions of people, most of whom you’d never meet in your life. We often forget how much we depend on the ‘kindness of strangers.’ Strangers will help with directions when you are lost, but they are also responsible for the bread arriving in the supermarket. It is strangers that generally ensure that our lives are free of hunger and fear, that we can have fulfilling jobs – and that we can ask questions about how societies evolve. How did we make the transition from living in villages, surrounded by friends and neighbors, to huge societies of strangers, with thousands of professions and elaborate governance structures? Remarkably, science still does not have a satisfactory answer to this question. Today I will present one way of resolving this puzzle – but as you will see, other participants in this debate have their versions. My answer has three parts. First, the critical glue that holds societies together is cooperation. Second, the reason humans learned how to cooperate is – paradoxically – warfare, lethal conflict between groups. And third, by creating a selective pressure for ever-larger societies warfare will eventually put itself out of business, when we learn to cooperate at the level of the whole humanity. Let’s start with cooperation. I use the strong version of this word – when people’s actions contribute to the common good, even though at personal cost. This is also known as altruism. One of the most striking examples of cooperation is volunteering for the army when your nation has been attacked. The common good is clear – if nobody serves in the army, your country will be overrun by the enemy, with catastrophic consequences for all. The costs are also clear – a high risk of getting killed or maimed. The problem is, the benefits of cooperation are shared amongst all, but costs are born by each individual privately. This is the ‘cooperator’s dilemma.’ By volunteering for the army, you don’t materially change the outcome. Your additional contribution to that of millions of others is miniscule and does not matter. But if those millions don’t join the army, you would be even more foolish to volunteer, for you will be killed with no benefit to anybody. So a rational selfish person should never volunteer. This means that a society consisting of rational selfish people will not be able to generate enough collective action to repel the enemy. Although the choices facing one are particularly stark in matters of war, the same logic operates in times of peace. Economists have long agreed that it is ‘irrational’ to help strangers, vote, go to a demonstration, and obey laws when there is no danger of being caught. Yet most people do such things most of the time. And without these folks who do prosocial, cooperative things a society couldn’t exist. Selfish people cannot cohere in a functioning society – this is the fundamental theorem of social life. Ayn Rand and those who say that “greed is good” are very, very wrong. But how did we evolve to be that way? Humans are unique in our ability to cooperate in huge groups of genetically unrelated individuals; this is known as ‘ultrasociality.’ The puzzle of ultrasociality is the central question of social evolution. By the way, social evolution has both a genetic and cultural components, and both are important. In early human evolution the genetic component predominated, now the cultural one is much more important, but both continue to be relevant. This takes us to the second part of my argument – the role of warfare. The logic is very simple. Groups of people who can’t cooperate to put together an army, will be overrun by those who can. The result is that genetic and cultural traits for noncooperation will go extinct. The story is of course much more complex than that. First, before warfare could do its thing, humans had to invent agriculture. Agriculture is a necessary condition for the evolution of truly complex societies. 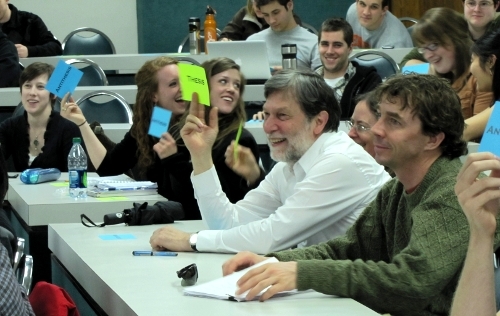 Why is absolutely obvious, and all scientists, including the participants of this debate, agree on it. But agriculture is only a necessary, not sufficient condition – many regions of the world had agriculture for milennia and did not make the transition to complex societies until they were colonized by European Great Powers. In the plains, on the other hand, if you lose the war, you are history. Things got even more hairy when Central Asians domesticated horses, learned to ride them and to shoot arrows from the horseback. This weapon of mass destruction was invented in the early first millennium BC, and the agrarian societies south of the Eurasian steppe found themselves under enormous pressure from the horse archers. The only way they could match the nomad power was by increasing their size and swamping the horse archers with soldiers. So they did, and that is why starting in the first millennium BC we see an ‘imperial belt’ developing south of the steppe, from the Middle East to North India to China. Then the empires also adopted the horse and gradually spread the aggressive way of war to the rest of the Old World. The spread of complex societies followed in the wake of such warfare. 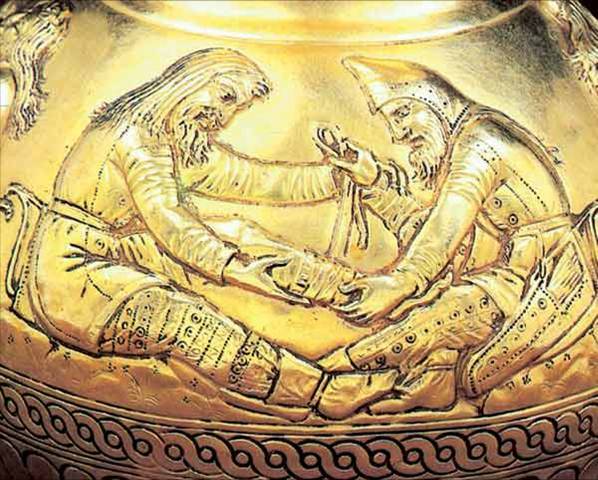 Around 1500 the Europeans took over from the steppe archers. Instead of horses and archery they used sailing ships and guns. But the evolutionary logic was the same. 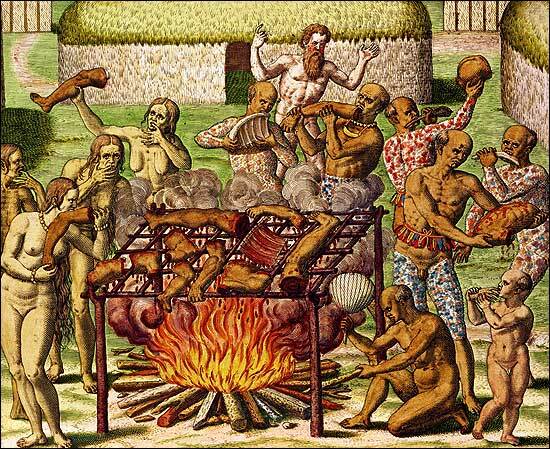 Europeans traveled to the ends of the world, bringing genocidal warfare to all societies. When the dust settled, complex societies organized as states took over the whole planet. So there is an intimate connection between warfare and civilization. This seems a gloomy conclusion. I am not a war-monger, and I certainly would like warfare to disappear in the humanity’s future. Actually, the chances of this not so bad. Although large societies fight big wars (think World War II), paradoxically citizens in such societies have a much lesser chance of being killed by other human beings. One reason is that strong states suppress internal warfare, banditry, and murder. 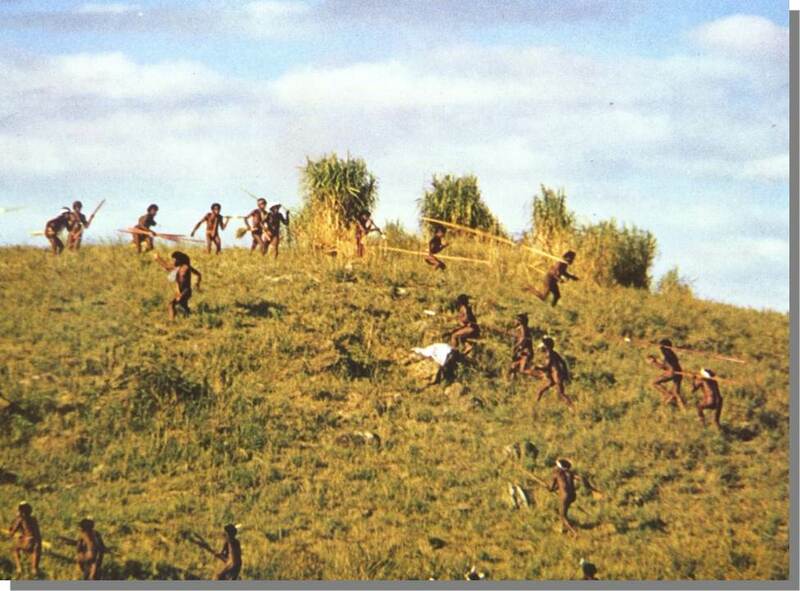 Another is that among hunter-gatherers everybody (at least, all males) had to be a warrior, but in large-scale societies, typically, only a small proportion fights in wars. The chances that you or I will get killed are much smaller. More importantly, social evolution molded humans in ways that reduce violence. Earlier I mentioned that most people have a very strong aversion to killing fellow human beings. It was the same at the dawn of humanity, except ‘fellow human beings’ were only those personally known to you – relatives and friends. Or members of your tribe. Others were subhumans who needed to be exterminated. 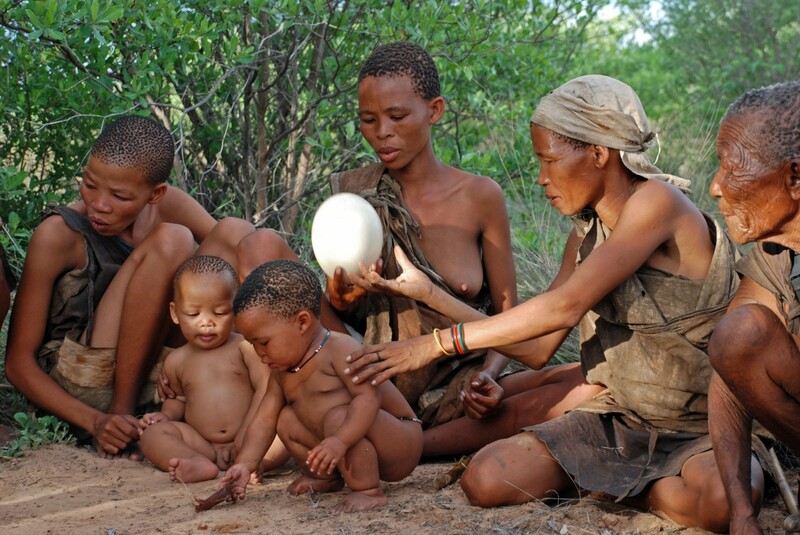 A big evolutionary step in expanding the definition of ‘human’ occurred 2.5 thousand years ago. Remember that these were the times when horse-riding nomads pushed farming societies to the verge of extinction. So farmers had to scale up the size of their societies to resist this pressure. Social evolution had to break through the barriers imposed by tribalism and ethnicity. The rise of world religions – Zoroastrianism, Buddhism, and Confucianism, later Christianity and Islam – was the answer. These world religions made possible cooperation between different tribes in the new multiethnic empires. Suddenly the definition of ‘human’ was enlarged way beyond those who spoke the same dialect. But it was still limited to those who practiced the same religion. So a Muslim couldn’t enslave another Muslim, but enslaving a nonbeliever was OK.
We are now in the midst of the final transition, with the definition of a ‘human being’ expanding to any member of Homo sapiens, whatever their religion, race, etc. This transition is far from complete, but we are moving in the right direction. To sum things up. The all-important glue that holds our wonderful complex societies together is cooperation. Cooperation evolved as a result of competition among societies, which historically took the form of warfare. But by driving the evolution of complex societies warfare also made our lives less violent and more secure. And if this trend continues, warfare will eventually put itself out of business. For war to burn itself out, there would have to be some force to keep the cooperation of society together, correct? Would the new force be the sole sake of cooperation once it has evolved to a certain state? Or perhaps some other great purpose like a devoted pursuit into the sciences or continual advancement of civilization would be the the source of further evolution. I would imagine without a force holding things together that society would eventually fragment into war again. This is a very good point. Short of encountering some race of bloodthirsty aliens from the outer space, the humanity will need some other force to maintain our cohesion at the highest level. I confess that I don’t know what that force might be, but my hope is that previous evolution, which resulted in us thinking about all humans as ‘us’, will make possible cooperation at least to stop the wars. In other ways different societies could pursue different paths, which would be a good thing, as evolution needs diversity. I am sharing a comment by Carmi Turchick via Facebook: n response to Turchin’s thesis, I have to challenge two of his three main assertions. Well, hard to see how this works. Certainly cooperation is critical for warfare, yet one would expect cooperation to arise first in some less critical way, for example hunting large game or avoiding/deterring predators. War is the highest risk activity that requires cooperation and as such seems likely to be the last and not the first application of cooperation. Would you really put your life on the line with those you had not tested for their willingness to cooperate before? War is not required for cooperation to be adaptive, all that is needed is a sufficiently hostile environment (as per Dugatkin). Of course, all of the above reasons may have combined together to make cooperation adaptive, we need not have just one answer, and it seems unlikely given the widespread utility of cooperation that there is just one and that that one is war. Sadly, no. There are limits to the selective pressure for ever-larger societies. Technology now plays a large role than size of population and the cost of conquering and occupying other nations is far higher than the cost of a patriotic insurgency armed with machine guns, RPGs, and IUDs. Modern sensibilities in the most powerful nations prohibits the wholesale slaughter usually required for true pacification. Another critical problem with this idea is that human groups define their boundaries in both a positive way, describing the features of those included in the group, and in a negative way, describing the features of those excluded from the group. It is the automatic exclusion of some others that makes the dream of some automatic evolution to a global group impossibly optimistic. Someone needs to go visit some Mayan ruins. 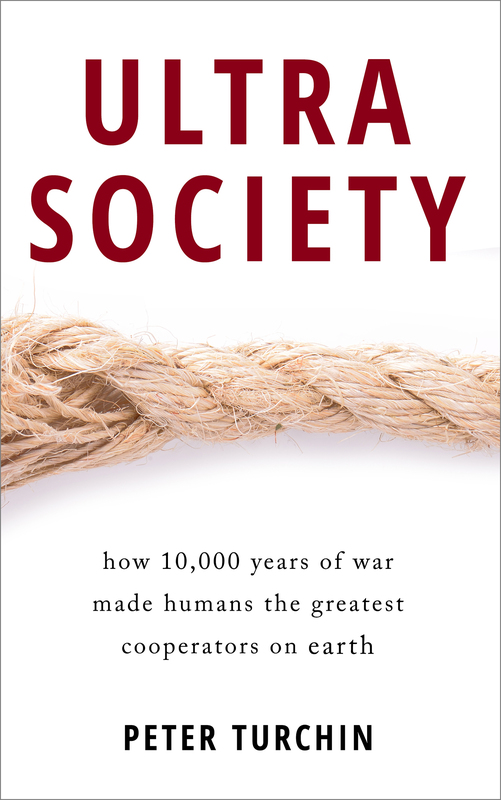 “But by driving the evolution of complex societies warfare also made our lives less violent and more secure. ” – uhm…not more secure than if there had been no war, right? In response to the other side of the debate – “Antithesis: Warfare is an unfortunate side-effect of the evolution of social complexity” – this is also an idea that is simply wrong. There are far too many evolved components of human psychology that predispose us towards group level violence, and which must have done the same before the advent of agriculture as well. 1. There is some confusion between proximate and ultimate causes. My primary focus is not on how cooperation makes war possible (which it does), but on the reverse part of the feedback loop: how intense social selection (in the form of warfare) weeds out less cooperative societies. 2. I agree that there are limits at the higher end of the social scale (the whole humanity) – see my previous response to Nathan Dean. However, I do not think that my conclusion is impossibly optimistic. 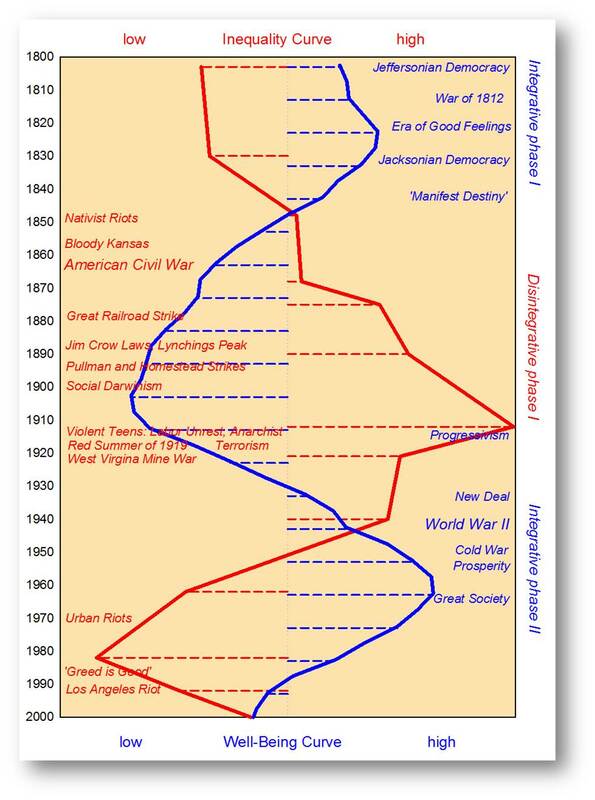 The overall trajectory of human violence seems to support my optimism. 3. I have visited Mayan ruins. And…? 4. Now “if there had been no war” is impossible optimism. Once somebody invents war, it spreads, because pacifistic societies are selected out. War can be stopped only in an active way, by imposing structures and institutions that will prevent it and punish transgressors. Which means that we will need to evolve some such structure at the level of the whole humanity. Complex human societies are primarily a product of cultural evolution (since DNA evolution in the last 100K years has been pretty minimal). Warfare is quite focused on the deaths of organic creatures. Cultural evolution is much more about differential reproductive success of memes than it is about the deaths of their human hosts. In modern times cultural evolution continues apace, while warfare is at an all-time low. Memes survive wars quite well – via women – and can spread quite well without war – witness McDonalds and Starbucks. A focus on warfare seems to put the focus inappropriately on human hosts (instead of culture) and on death (instead of differential reproductive success). Not sure why you privilege women as survivors of warfare. In any case, you are missing my major point, that warfare works as evolutionary selective force not because it kills people, but because it is the most intense kind of intergroup competition. warfare works as evolutionary selective force not because it kills people, but because it is the most intense kind of intergroup competition. Dear Peter, you missed the point that much more effective forms of intergroup competition exist out there because they don’t involve so much collateral damage. We hate wars because they kill people, destroy infrastructure, and promote primitive forms of ideology and human behavior. So, to keep a long story short Tim is right war is about killing (fauceirs actually not only humans). Meanwhile, superb examples exist of social evolution without war, the industrial revolution in England that brought about great social progress, for instance. 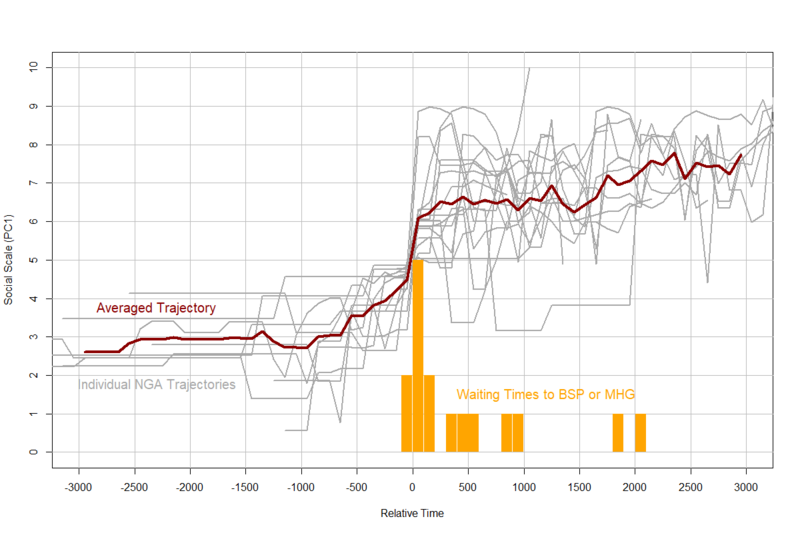 That progress slowed down and came to an halt, eventually, soon after colonial wars were waged. Sorry, the first paragraph should appear as a quote. You make it sound as though I advocate war as the preferable way of intersocietal competition. What I am saying, instead, is that empirically warfare has been the main driver of evolution of social complexity. Normatively, I hate war and I want to see it replaced by other forms of intergroup competition as the engine of social evolution. There is no logical contradiction between these two statements. Confusing them is known as the ‘naturalistic fallacy.’ Just because war was the main engine doesn’t mean that it is desirable that it remains so. Also, I’m glad to learn that you don’t confuse the necessity of competition with the inexorability of wars. I hope you keep your eyes open to this naturalistic fallacy as it is often exploited to justify the initiation of wars nowadays. And here is good news for you. Other forms of fauceir competition already exist and made great progress recently: free marked economy and, even more advanced science (or knowledge as netocracy would call it). Found this on asabiya somewhere and wanted to share it as it sheds more light on the question of complex group formation. 1. Direct blood ties: The egalitarian hunter gatherers then tribes. 2. Direct material benefit: The early kingdoms and small empires where the head of state depends more on able ministers and paid soldiers/mercenaries/armed slaves than his comparatively smaller number of relatives to cement his rule. 3. indirect blood ties: Larger empires comprising an entire nation standing opposite other nations. Note that this doesn’t mean the empire is made of only a single nation, rather that a single nation/ethnicity stands at the top. This evolves to overcome type 2 asabiya; in order to prevent loyalty based on money, land grants and the like from undermining the ruler as his ministers and military commanders get wealthier and more influential. 4. Indirect material benefit: Multi-ethnic systems where shared language and religion hold the empire together. This is the natural step for type 3 asabiya as a single ethnicity is no longer enough to run the show. 5. The as of yet to happen unity of mankind, or asabiya based on universal values and human brotherhood. As a final note I’d say cooperation and competition come hand in hand and it’s not always against or with other groups or even humans that people compete and cooperate. For example, we never had to fight our crops to make them produce our food, and while some trouble was likely had when domesticating wolves or horses it wouldn’t exactly be war that drove those particular achievements, rather the direct benefits of using dogs for hunting or shepherding & horses for traveling. My point being that such advancements were later used to get an edge in warfare should not lead to confusing them as fruit of war themselves. On competition and cooperation. Cultural multilevel selection provides a very useful theoretical framework to think about these two processes. Essentially, groups have to cooperate internally to better compete against other groups. In my view, society is a living and rational system, which works through processing of knowledge. The knowledge is consciousness information and driving force for social evolution. In fact, social evolution is “evolution of knowledge”. As a rational system society has three equally important subsystems: social consciousness (culture), economy and decision-making mechanism (a form of governance). Social evolution is a result of interaction of these three subsystems. Ever increasing knowledge makes the economy more sophisticate, society more complex and eventually replace the existing decision-making mechanism with new one. “Mechanics” of social development comprise emergence and resolution of contradictions. Therefore, warfare is neither “creative”, nor “side effect” of social evolution. It is a stage of social evolution, an outcome of resolving contradictions between immature societies (bands, clans, tribes, nations). Once humanity reaches a level of development achieving social self-consciousness, I agree, the wars will be “out of business”. The first ‘hero’ that acted for the group, making it essential for all groups thereafter to contain such heroes, and in ever greater number? War would not exist unless there were mechanisms other than warfare that makes heroes! We should also not forget progress does not automatically follow from greater obedience. 20th C., in all the mechanised wars and its rigid and nasty political systems, taught us altruism can be used for creative and destructive endeavours. Often, the progress follows from one person standing up alone and saying ‘no’ to an unjust cooperative system (such as institutional racism) – and then others decide to join them. On the other hand, the term “side-effect” belittles the role of warfare in the evolution of social complexity. It’s more important than a side-effect. Warfare is perhaps too much cooperation… cooperation gone mad…? For what reason?